Amazing turnout last weekend! Let’s keep it up and get together again tomorrow for Monday Night Football – Dolphins vs Colts! Kick-off is at 8:30pm. It’s also DOLLAR DRAFT NIGHT at Third and Long! 1.) Our goal is to get as many Dolfans to fill the Meadowlands on November 1st when we take on the Jets. The plan is to buy those game tickets on Monday when we are at the bar. 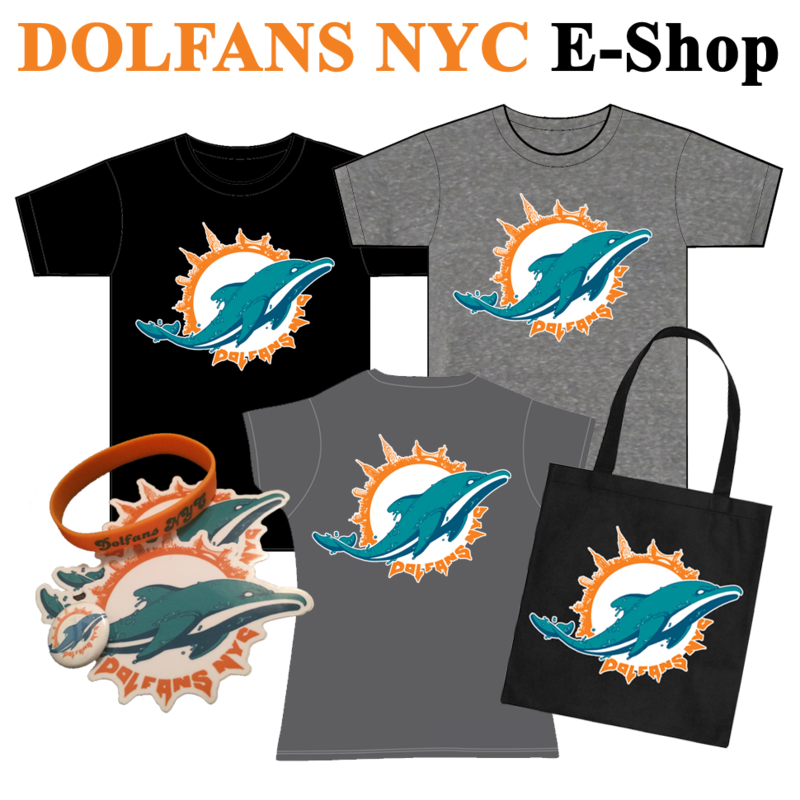 If you are interested in going in for tickets, either e-mail us (dolfansnyc@gmail.com) or come talk to us before the game tomorrow. 2.) We have our NEW LOGO!! Check it out below. See you Monday and LET’S GO DOLPHINS!!!!! This entry was posted on Sunday, September 20th, 2009 at 1:43 am	and is filed under Events. You can follow any responses to this entry through the RSS 2.0 feed. Both comments and pings are currently closed.